Welcome to The Big Book – facts matter! Suddenly it seems facts have become important; that’s a good thing. 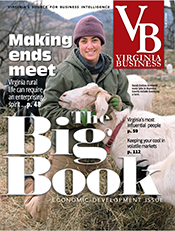 This fifth annual issue of The Big Book is a compendium of facts about the commonwealth — who’s who, who’s influential and who’s, well — BIG — when it comes to business, economic development and the economy of Virginia. 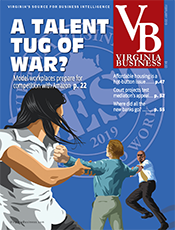 At a time when increasing attention is being paid to the facts of economic development, this month’s main story package covers ongoing changes at the Virginia Economic Development Partnership (VEDP). 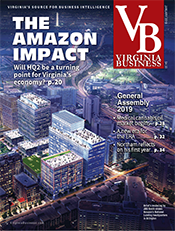 It includes an interview with new CEO Stephen Moret, conducted by our Managing Editor Paula Squires, just days after he took the helm at VEDP. 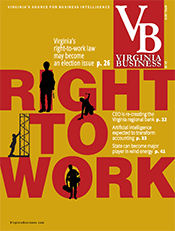 A large cast of characters — the business community, the governor’s office, the General Assembly, even the Joint Legislative Audit and Review Commission (JLARC) — have played a role in the VEDP story. 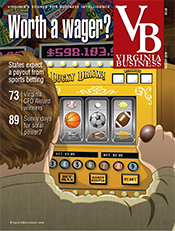 Virginia Business has been covering this in print and online since last fall. In addition to the big-picture statewide story, The Big Book features expanded regional economic development coverage, including each area’s major deals of the past year. If you haven’t already noticed, we’ve increased our regional pages to cover a total of seven regions after concluding that the Roanoke/Blacksburg area deserves a section of its own. It previously was covered as a part of the Southwest Virginia region. Facts are really at the core of what this month’s issue is all about. 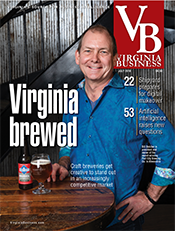 Included are nearly 50 lists ranking everything from Virginia’s largest companies by industry sector, to its top 10 craft brewers and its biggest defense contracts. 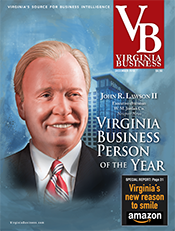 Also included is our ever-popular list of Most Influential Virginians. These lists are an invaluable resource for anyone new to the commonwealth, as well as a great source of insight for anyone involved in sales, marketing or business development. 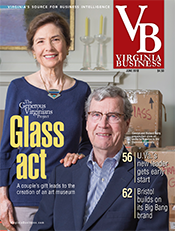 In addition to the Most Influential Virginians, you’ll find Power Couples and people On the Move. These lists have some new faces, especially On the Move — keep watching! Stay tuned for more success. Relatively new to The Big Book is a list of companies celebrating significant anniversaries (20 years or more since their founding). 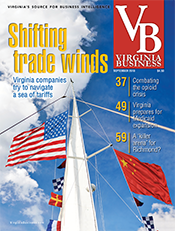 We started compiling this list last year when Virginia Business celebrated its 30th anniversary. In Edinburg, Shenandoah Telecommunications started 115 years ago as a local telephone operator. 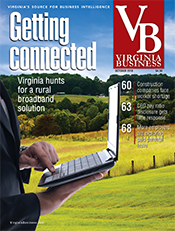 Now it has become the nation’s sixth-largest provider of wireless services. And the Richmond-based firm Sands Anderson is celebrating its 175th year of practicing law in Virginia. Another new list this year is Major Construction Projects. Construction is back on the upswing. Yes, indeed — facts are good things! 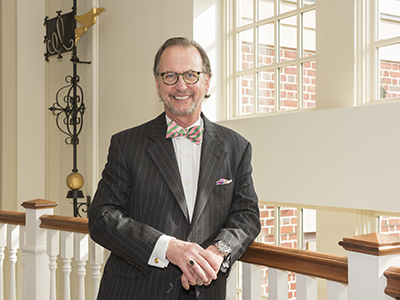 Another story takes readers to Regent University, this month’s higher education profile. Based in Virginia Beach, Regent has shown strong growth and is piling up impressive national accolades for its undergraduate, graduate and more recently its online degree programs. Founded nearly 40 years ago as CBN University, Regent offers a traditional curriculum, plus programs in education, business, law and most recently, cybersecurity. The university is ranked 15th nationally for the education of military veterans. While it’s hard to say that there has ever been a time when facts didn’t matter, perhaps now we are gaining a new appreciation for their importance. 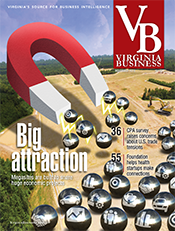 At Virginia Business our core values are leadership, integrity, balance, respect and success. When it comes to facts, we stand behind what we report. Our hope is that you will find value in this issue of The Big Book. There is nothing we enjoy more than being a part of your success.